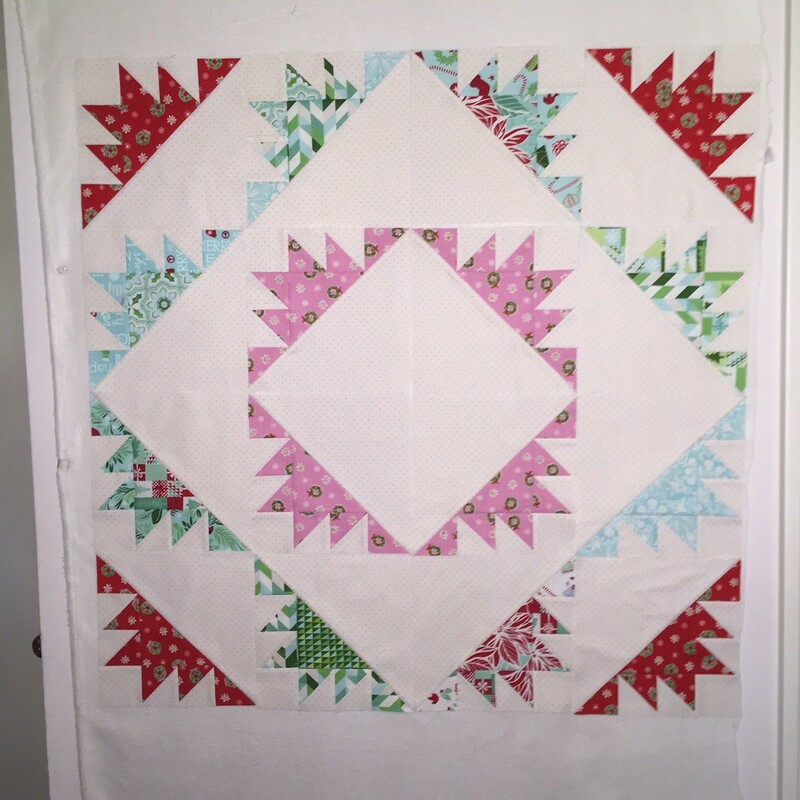 Loving this quilt as it comes together. I wanted to share a quick update on my progress as of last night. A little blurry. I find that I am only really working on my quilt projects when it is dark outside. Never really good pictures. It’s already too big for my design wall. There should be a total of 8 red blocks going around. Next round will be the light green from Little Joys. The pink on cream Swiss dot background is working out perfectly. Have a great week! Thanks for stopping by today!